Canada's premier airport, Toronto airport (YYZ), better known as Toronto Pearson International Airport or simply Toronto Pearson Airport is the largest airport in Canada and serves as the entrance to Canada for many international travellers. The airport has undergone a comprehensive overhaul and extension over the past few years to meet the growing air traffic and provide state-of-the-art facilities to the travellers. If you have not been to Toronto Pearson since February 2007, you will be in for a pleasant surprise at the Toronto airport. With handling nearly 31 million passengers and 4,10,000 aircraft movements, the Toronto airport is a mirror image of the city itself... energetic, dynamic and full of hubbub. Located just 27 km / 17 miles northwest of downtown core, the slick and modern Toronto Pearson Airport is a primary hub for national carrier Air Canada. 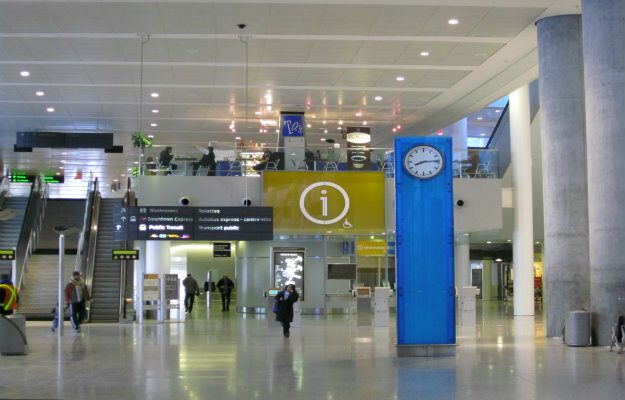 On this page you will find all the essential information related to Toronto airport. Currently there are two functioning passenger terminals at the airport. Terminal 1 and Terminal 3. Both these terminal have been recently revamped. Terminal 1 is bigger of the two; in fact, it's the 11th largest airport terminal in the world in terms of floor area. Terminal 1 manages international, transborder and domestic flights from its 58 gates in a single and convenient facility. All Air Canada flights are gated at Terminal 1, so as the most of Star Alliance member flights. The key air-carriers which operate out of Terminal 1 are Air India, Air New Zealand, Alitalia, Austrian Airlines, BMI, Continental Airlines, Emirates, Etihad Airways, Jet Airways, Lufthansa, Singapore Airlines, Sunwing Airlines, Swiss Airlines, Turkish Airlines, United Airlines and US Airways. Terminal 3 is smaller one with 39 gates and mostly handles flights from Skyteam and Oneworld airlines. The major airlines which use Terminal 3 are Air France, Air Transat, American Airlines, British Airways, Cathay Pacific, Delta, EL AL, Finnair, Japan Airlines, KLM, Korean Air, Qantas, Thomas Cook Airlines, Virgin America and WestJet. The LINK train offers 24/7 free transportation service between terminal 1 and 3. You can find the LINK train platform on level 2 of each terminal. Bearing in mind their size and traffic handling capacity, both the terminals are relatively easy to navigate and less disconcerted. There are number of check-in counters and large security screening areas to reduce wait time in both terminals. But due to constant terrorist risk, sometimes it takes bit long to complete the required formalities. So I suggest you to come well in advance (2 hours before your flight) and if you are flying to US, give yourself at least 3 hours. Tackling arrival at the Toronto airport is less stressful. You will find polite staff at custom and immigration counters. The baggage claim area is also very huge and well managed, though sometimes it takes little long to arrive the luggage at the baggage carousel. Information counters are located in both terminals where friendly and uniformed staff is always ready to give assistance. You can withdraw Canadian currency from cash machines (ATMs) located conveniently in the arrival and departure area of terminal 1 and 3. 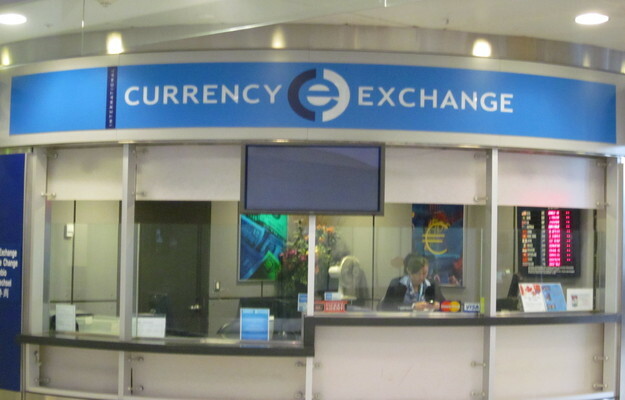 There are also several courteous and efficient currency exchange kiosks from where you can get the local currency. However, ATMs are your best option, as they are convenient to operate and you can get better rate compared to currency exchange bureaus. Public telephone booths are located throughout the airport, in case you need to make a call. Charge for the local call is 50 cents. The airport offers free wireless internet access so that you check your emails or get the important business updates. Baggage trolleys are available in both terminals and the parking lots (rent $2 per trolley). Porter service is also available in case you need help to handle your luggage. Both terminals also have baggage storage and lost and found services. Looking for some place to unwind and relax within the airport? You can find several cool and comfy lounges in both the terminals. Some of them are reserved for specific airlines' passengers while few are available for use by all travellers, irrespective of airline or class of travel. Mail box, play area, shoe shine, interfaith centre, medical aid and massage facilities are located in both terminals. A great care has been taken to provide sufficient facilities to the disabled travellers within the airport premises. The Toronto airport is wheelchair accessible with quite a few lifts and ramps in both terminals. There are disabled washrooms and text telephones. There are adequate disabled parking spaces in all parking lots of the airport. The LINK shuttle train connecting two terminals is also wheelchair accessible. Shopping at the Toronto airport is an exciting experience. There are over 90 boutiques and shops throughout the airport offering variety of choices from luxury retail, great gifts to cosmetics and beauty products. You can buy premier brand clothing, casual sportswear, eyewear, travel accessories, fantastic jewellery, Canadian souvenirs, confectionery, novelty gift items and much more. Or grab a book, magazine or DVD before your flight. Of course, there are various duty free stores on top of these standard shops. Duty free shopping at the Toronto airport offers a wide variety of top quality merchandize at amazingly affordable price. You will find some of the world's finest fragrances, cosmetic items, fashionable accessories, chocolates and wine collection. Really, at Toronto Pearson there is something for every shopaholic regardless their age and wherewithal. Have you just finished your shopping or checked in for your flight? Or looking for something to eat after long, exhaustive journey? Why not rush to one of many restaurants and cafes located throughout the terminal and refuel with mouth-watering gastronomy, cool beverages or a cup of freshly brewed, steaming coffee. If time permits, enjoy a leisure meal. Or grab a quick bite before your flight. Treat yourself with healthy breakfast or get something great to take on board with you. From lip-smacking pizza, burgers and fries to freshly prepared authentic sushi, there is something to satisfy each and every taste-bud. Once you arrive at the Toronto Pearson Airport, there are lots of choices available offering ground transportation to downtown Toronto, Greater Toronto Area and other cities of Ontario. You can take a public transit, airport shuttle, taxi and limousine or rent a car depending on your requirements, comfort level and budget. The Toronto Transit Commission (TTC) provides bus services throughout the day for travelers commuting between Toronto Pearson International Airport and downtown Toronto. The normal operating hours begin in the early morning and last until 1-3 am when the overnight buses begin their services. The 192 Airport Rocket route provides all-day accessible express bus service between Toronto Pearson International Airport and Kipling Station on the Bloor-Danforth Subway. From Kipling Station, you have to take a subway to reach the downtown Toronto. The 58A Malton route provides all-day bus service between Toronto Pearson and Lawrence West Station on the Spadina Subway. The 300A Bloor-Danforth has overnight bus service from the Toronto airport to Bloor-Danforth Corridor, while the 307 Eglinton West provides overnight service from the Toronto airport to Yonge Street and Eglington Avenue area. You can catch the TTC bus from Terminal 1 (Ground Level) and Terminal 3 (Arrival Level). Single TTC ticket costs $3 in cash. Obtain a transfer when you pay your fare which is valid for TTC subway, bus and streetcar. It takes approximately 45 - 60 minutes to reach to downtown Toronto depending on time of your travel and traffic condition. The GO Transit has bus services with routes that extend from Toronto Pearson International Airport (Terminal 1 - Ground Level) to Yorkdale and York Mills subway stations. Toronto Airport Express or Pacific Western Airport Express offers convenient and affordable bus service between Toronto Pearson Airport and several downtown locations. The fully accessible bus operates every 20 minutes during peak periods and every 30 minutes during off-peak periods 365 days a year. 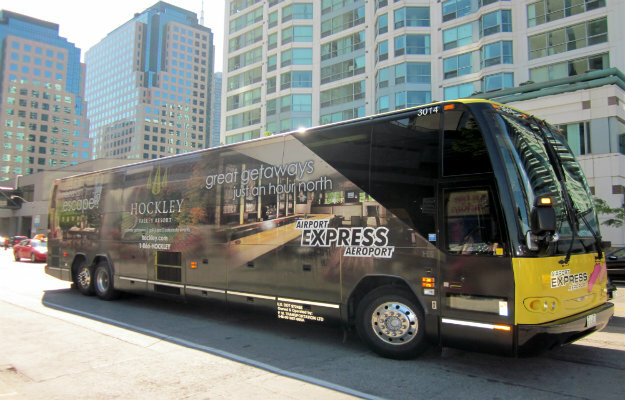 The Airport Express operates shuttle service from arrival levels of Terminal 1 and 3 to several downtown Toronto hotels. You can enjoy your journey in safe and comfortable atmosphere with several onboard amenities including free Wi-Fi, laptop plug-ins, seat belts and leather interior seating. One way fare is $17 and if you buy tickets online from their website, you can save additional 10%. And there is no restriction on pieces of luggage. Overall, I can say that the Toronto Airport Express is one of best option for you. Taking a Toronto Airport taxi or Toronto Airport limousine is probably the quickest way of getting to your hotel from Toronto Airport. You can find them at the arrival level of each terminal. You do not need to pre-book. Taxies and limousines are always available at the airport. At the Toronto Airport, taxies and limousines are licensed by the airport authority and they meet certain safety benchmarks. You should not worry about the irregularities in fares too. Rates are predetermined based on the time and distance to your destination within Greater Toronto Area (GTA). For destinations outside GTA, the fares are listed on the Out-of-Town Tariff map. If your destination is not listed in this tariff, you have to pay $1.45/km for taxi and $1.55/km for limousine. There are half a dozen car rental companies located on-site at the Toronto Pearson Airport such as Hertz, Avis, Enterprise Rent-A-Car, National/Alamo, Dollar/Thrifty and Budget. They are positioned on the Level 1 of the parking garages next to each of the terminals. Several other car hire agencies are available just outside the airport at Viscount Station. For more information and tips to find best airport car rental deals, visit our Toronto Pearson Airport car rental guide. 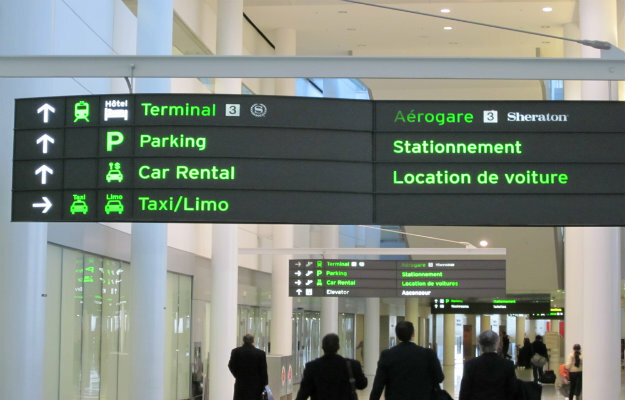 Toronto Pearson offers numerous parking options to meet different requirements of travellers. The airport offers Express parking lots conveniently located adjacent to Terminal 1 and is ideal for short term parking. The other parking options include valet parking, long term parking lot, reduced rate parking lot and cell phone lot. The LINK train and special parking shuttles provide free service between terminals and remote parking lots. There are several private parking lots available near the airport offering cheap and convenient parking option. For more information on different parking lots, their location and direction, parking rates check our Toronto Airport Parking guide.